The death of Helen Barnes occurred at the Oromocto Public Hospital on January 24, 2019. Born in Fredericton, she was a lifelong resident of this community. She was predeceased by her husband Jonathon Glendening in 1968; as well as her parents, Alfred and Annie Barnes; brothers, Alfred "Ernest" (Rose), Kenneth (Muriel), Charles (Beryl), infant Stanley, and her sister, Annie P Barnes. She is survived by her brother Cecil (Donna), many nieces and nephews (Gary, Steven, Jeff, Laura, Carol, Brian, Diane, Barbara & Beverly) and special friend Larry Graham. Helen attended Christ Church Parish Church where she was baptized and confirmed in the present-day chapel. Over the years, she was happily involved in all aspects of church life. After her first husband died in 1968, Helen attended St. Margaret’s Chapel of Ease. There were many fond memories of working for the Sunday School, joining the choir and the study groups. She also became a licensed Lay Reader and gave the service of morning prayer at churches in the area. Favorite pastimes were travel, enjoying cottage life at Grand Lake, photography, painting, gardening and reading the latest books. She was a docent for the Beaverbrook Art Gallery for a year. Helen worked for several local businesses: namely, Canada Permanent Mortgage and Trust Corps and Department of Agriculture, Plant Industry. 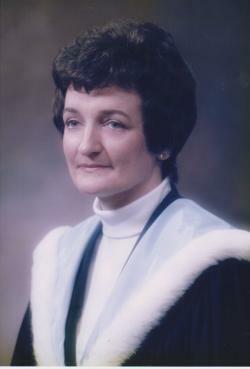 As Helen Glendening, she attended University of New Brunswick. As Helen Boisvert, she received her B.Ed. degree. With her degree and 21 years of valuable office experience, she taught Business Education students for 20 years in District 17, she retired in 1994. Visitation for Helen will be held on Tuesday January 29, 2019, from Noon until 1:30 PM, followed by a funeral service at 2 PM at Bishop’s Funeral Home Chapel, 540 Woodstock Road, with Rev. Wandlyn Snelgrove officiating. Ashes will be interred in the family plot at a later date. Memorial donations in Helen’s memory may be made to the Christ Church Parish Church Chapel of Ease Restoration Fund. Online condolences and the sharing of memories may be expressed through www.bishopsfuneralhome.com.